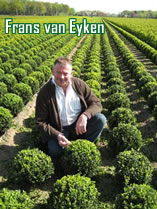 Welcome to Boomkwekerij F.van Eyken bv. 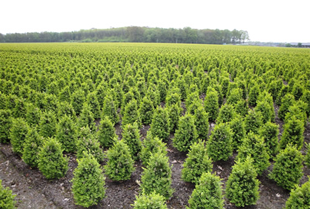 We are a specialised nursery with approximately 85 hectares of buxus in various different types of prune finishes. 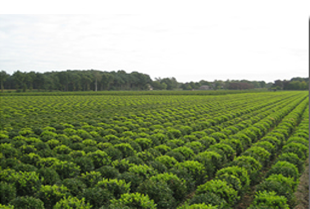 Our sales are mainly focussed on the wholesale and export markets. Large numbers and volume orders are our particular strong points, but you can certainly also contact us for smaller orders. We have an extensive assortment of various different pots, sleeves and labels, which can be seen on our website’s photograph page. All our products are freshly potted and carefully prepared for delivery. Please take your time to browse through our website and don’t hesitate to contact us, should you require any further information or additional assistance.